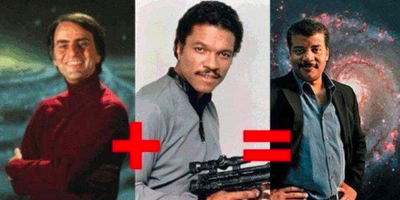 If Carl Sagan has an heir apparent then it is astronomer and astrophysicist Neil deGrasse Tyson. I don't quite know as much about him as I do Sagan or even Stephen Hawking, but I have watched him on TV (PBS' Nova) and seen a number of his interviews to know that this guy is smarter than rest of us. He is a staunch advocate for science and the teaching of science in our schools. In one interview I saw him give on C-SPAN he told a congressional committee about how important science education is, not just to raise child to be scientists but also to understand the world we live in now. 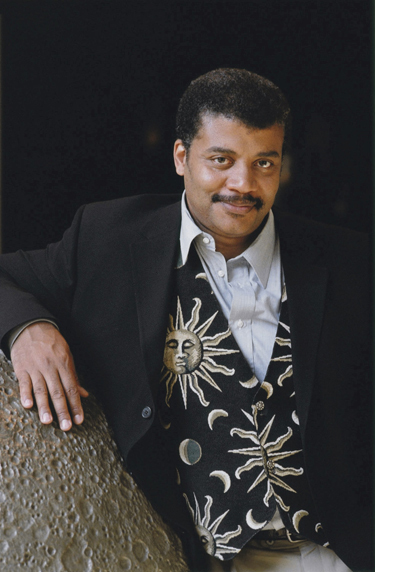 Tyson is a bit more of an atheist than Sagan was, but he still considered himself agnostic. Many though hear him talking and assume he is an atheist. In truth if he were define himself as anything I think "Scientist" would be his preferred label. He is a staunch opponent "Intelligent Design" calling it an impediment to science education. Among his books that are my faves (which I have not finished reading) are "Death by Black Hole" and "The Pluto Files". I am looking forward to learning more about this guy and reading more of his work. And to be honest, this graphic that appeared everywhere on Facebook a while back explains it perfectly.